Check out my new favorite pan! It's a 10" Stone Earth Pan by Ozeri. I really like this pan a lot compared to my conventional pans. It has a soft grip handle and smooth stone exterior. Hey, it's non-stick! Now I don't have to use a non-stick spray in my cooking. The Stone Earth Pan by Ozeri is made of the highest quality die-cast aluminum that allows for even cooking and fantastic browning without hot spots. It boasts a magnetized bottom for rapid heat transfer on induction stoves, and a heat resistant silicone coated handle. I would highly recommend this pan to everyone. 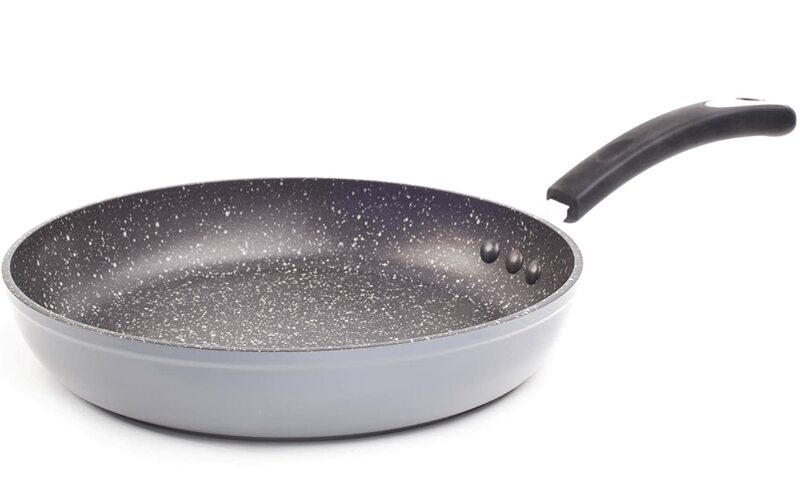 - Utilizes a natural stone-derived coating from Germany that achieves non-stick perfection while remaining 100% free of PFOA, a harmful chemical found in traditional cookware. - Eco-friendly pan delivers unprecedented non-stick performance without releasing harmful fumes or toxins at high temperatures. - Features a scratch-resistant stone-based coating that is super easy to clean. - Interior of pan made out of durable heavy-gauge die-cast aluminum with no harmful chemicals or trace metals. - Boasts a comfortable heat-resistant silicon coated handle that is reinforced to the pan via 3 rivets, and a magnetized base for use with rapid heat transfer induction stoves. For more details or would like to order some of their digital lifestyle products, you should check out www.ozeri.com or you can purchase their products on Amazon.com. You might also want to like them on Facebook for updates and promotions. Disclosure: Products mentioned above were provided for FREE by Ozeri for product endorsement/review purposes I am disclosing this post in accordance with the FTC guidelines concerning the Use of Endorsements and Testimonials in Advertising. This pan look durable and sturdy bayot. it's think and i like the interior. i need a new pan. im gonan check this website out, akong pan ky kanang tag $5 hehehehe pang itlog. kalami sa giluto puro meat paborito sa mga wala kaila ug utanon. That pan looks like the kind of pan that my husband is looking for. He wants non-stick and scratch resistant too. This fits my husband standard for a cookware. I'll have him check this out later. I want a sturdy pan like this! 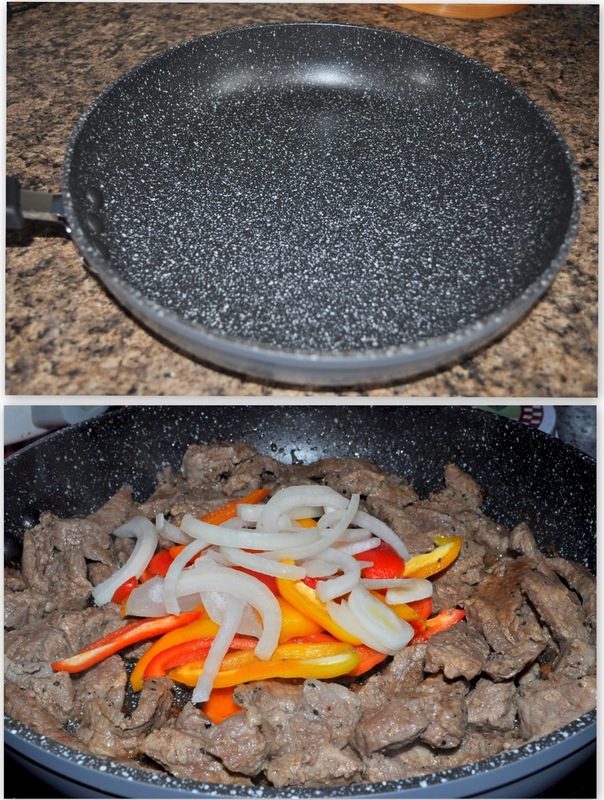 Beef fajitas are yummy! 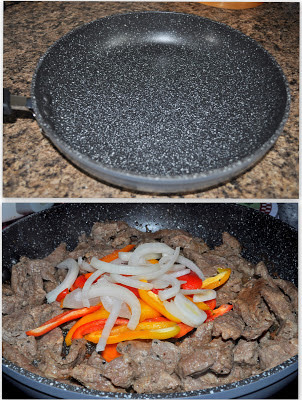 Yummy Fajitas indeed Mommy Dhemz, you make me drool :-) The pan looks durable than I have in my kitchen. We just bought a pan set last year and I think I need a new pan set. Thank you for sharing. 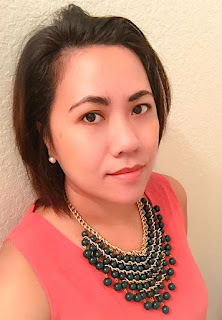 I want one too, mommy Dhemz. I have been waiting for mine and hope they will ship it to me. This one really looks like one sturdy pan and of great quality.